English is the global language for communication, and thus, it is very important to check English language aptitude level while hiring the workforce. An English aptitude test can also be called as the verbal reasoning test. The main reason for conducting such a test is to check that whether the candidates are able to comprehend the written language in a correct manner or not. These days, in every kind of job the formal mode of communication is English and thus it is really important that the employees must be able to understand the vital information correctly. For this purpose, the English language comprehension skills must be really strong and an English aptitude test would clearly depict that how strong are the verbal abilities of a candidate. Communication is the key in any business, so when you are looking to hire the best candidates for your organization, then you must not underestimate the importance of English aptitude test. The scores will reveal the language interpretational ability of the candidates and it will really help in the recruitment process. What is an English aptitude test all about? English aptitude test can be termed as verbal aptitude test. A lot of things are tested with the help of such test like the ability to spell words correctly, grammatical knowledge, the comprehension of exact meaning of words, the ability to interpret detailed information with interconnected aspects etc. Thus, overall English aptitude test is the perfect way to assess language based skills. English is the topmost language that is used for communication purpose, and if a candidate is having poor knowledge in this domain, then he or she may be unable to do justice with the job position. 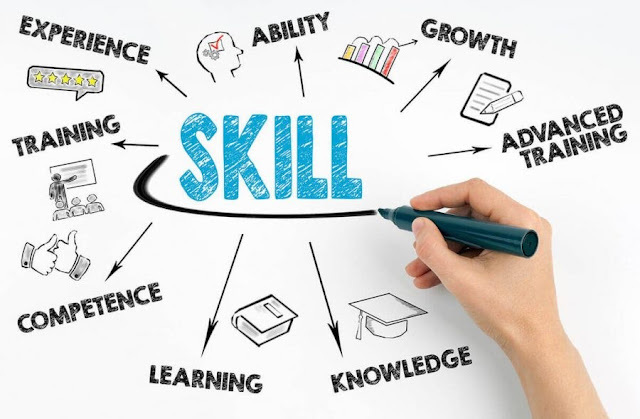 By conducting English aptitude test, the employers can know that whether the candidate is having optimum level of language interpretational skills or not. So, it is very important to conduct such a test. What aspects are covered in an English aptitude test? There are lots of things that are covered in the English aptitude test. Some of the aspects are like reading comprehension, word relationship, word analogy, vocabulary, verbal coherence and cohesion, verbal logic, letter sequencing, verbal reasoning, homophones, antonyms, synonyms, grammar, spelling, critical thinking exercises, spotting the errors, sentence improvement, one word substitute, idioms and phrases, correct sentence formation, and much more. Thus, a comprehensive English aptitude test is the one that covers questions from all these dimensions. With the help of such a test it can be clearly understood that how much knowledge about English language is possessed by the candidate. There can be advanced level English aptitude test and Basic English aptitude test. It will depend on the needs of the organization that whether it wants a simple test or a high level test. To fill in the basic job positions in the company a basic test may be sufficient but for the vital job positions where top notch communication skills are needed, a high level advanced English aptitude test would be needed. Why it is beneficial for the organizations to conduct English aptitude test while hiring employees? English is the main language of formal communication in almost all the organizations. Some industries are highly dependent on the tasks like customer interaction and client interaction. The examples are like hotel industry, aviation sector, consultancy firms, educational sector, customer service providers etc. In all such companies it is really important that the verbal abilities of the candidates must be really strong. If the English comprehension skills would be poor then the company will have to suffer because of the underperformance of candidates. Thus those candidates must be selected who are having top notch verbal reasoning abilities. Just by seeing the educational qualifications of an applicant you can’t tell that whether he or she is having a mastery over the language skills or not. Due to this reason it becomes essential to conduct English aptitude test. A candidate who is having good verbal ability will prove to be an asset for your organization. The reason is that such an individual would be able to communicate in a clear manner and the formal messages would be accurately interpreted in the business environment. So, always focus on choosing those applicants that can flawlessly express their ideas and thoughts using the language based skills. In the earlier times English aptitude test was conducted through the pen and paper mode. But now things have changed in a significant manner. It is possible to conduct online English aptitude test in a hassle free manner. The candidates can be allotted specific set of questions and time limit can also be fixed for answering each section of the English aptitude test. With the help of online facility it becomes very easy to check the scores of an applicant. All the information is available on a real time basis and thus an idea can be gathered that whether the person is fit for the job or not. Score comparison can be done quickly and one can easily assess that which ones are the top scoring candidates among all. There is no doubt about the fact that practical skills and real world knowledge is required to do any particular job. But, in the present times, one cannot ignore the importance of language skills. A candidate may possess enough knowledge required for the task, but if his or her language interpretational skills are poor, then how would the communication process take place. It would prove to be a big hindrance in the work environment and the organization will have to bear the consequences. So, if you are looking to hire some candidates in your organization, then make sure that their verbal reasoning abilities are strong and for that you need to conduct an English aptitude test. This kind of test will reveal the ability of applicants to comprehend verbal based problems. By going through the scores, you will get a genuine idea that who should be hired and who should be not. Thus, take a wise decision and include this test as one of the parameters for recruitment process. NSE: Help MSMEs over IPO..!